The European People’s Party handed an implicit reprimand to Hungarian Prime Minister Viktor Orbán’s Fidesz party in a special resolution voted on Wednesday (7 November) but took no formal action. EURACTIV.com reports from Helsinki. 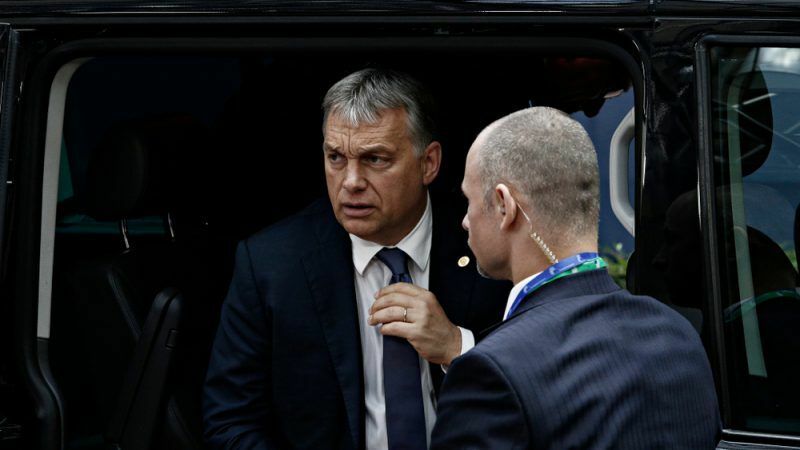 A source confirmed to EURACTIV that Fidesz proposed and obtained a small but relevant change in the wording of one of the resolutions voted by the Congress’ resolution committee chaired by EPP President Joseph Daul and Vice President David MacAllister yesterday at the EPP’s Helsinki Congress (7 November). Fidesz delegates proposed to replace the word “liberal democracy” with “rule of law” at paragraph five of the fourth emergency resolution that represents also the EPP stand on the adoption of the EU budget post-2020. “On the other hand, the EU taxpayers’ money should not be spent in countries where fundamental EU values and the rule of law are not respected or in countries which don’t fully cooperate with the EU’s anti-fraud institution OLAF,” said the policy paper approved yesterday during the first EPP plenary session of the Congress. Fidesz proposal aimed to substitute the broader term “liberal democracy” with the narrow one “rule of law”, since it could affect the possibility to gain access to EU funds. The source added that Fidesz’s proposed amendment was approved by unanimous vote in the small Congress’ committee. The term ‘liberal democracy’ was particularly neglected by the drafters, since it appears just once in the first report on the values, while the rule of law was mentioned nine times in the three-page document. The changed part was originally attached to the first report on values, but it was relocated in the third emergency paper on MFF. However, this change did not depend on Fidesz will but it was made by the draft coordinators. “In a family, we might disagree, but we always stand together,” Orbán said during his intervention at the second plenary session on Thursday. “Let us not listen to our opponents and let us not measure ourselves by the standard of the leftist parties and the liberal media,” he said. He also showed his gratitude to Manfred Weber for backing Fidesz at the latest national elections and visiting Hungary in spring. “We respect you because you always know when it is time to debate and when it is time for unity,” he added. Hungary was not explicitly mentioned in the text but EPP officials made it clear that the criticisms were aimed at him. Before the Congress, a group of students from the Central European University, the institution funded by billionaire George Soros, which Orbán has threatened to close, sent a video message directed to Weber and EPP delegates demanding that they take action to protect academic freedom in Hungary.